Install the Vegetation add-on (available via UNIGINE SDK Browser in the Add-Ons section) and add it to your project (by clicking Other Actions -> Configure Project -> Add-ons in the Projects section of UNIGINE SDK Browser). 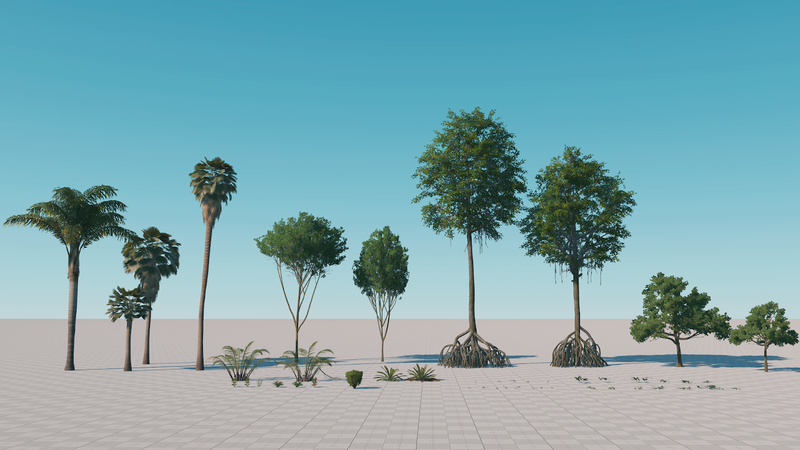 Click File -> Open World (Ctrl + O) or open the Asset Browser window, open the vegetation folder, and select the vegetation world. The scene will open. 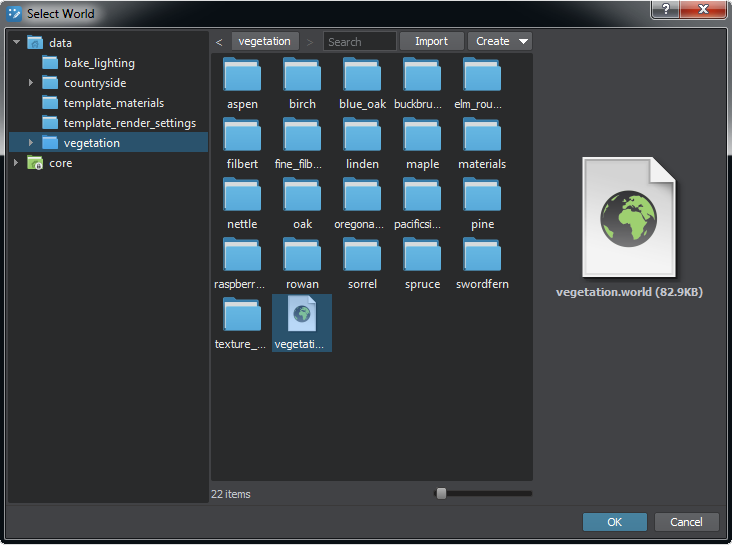 Separate nodes will also be available as *.node files in corresponding subdirectories of the data/vegetation/ directory.